On Sunday, October 19, 1941, a new congregation began. Consisting mostly of members from the old Fourteenth Street Church of Christ, the group met in the home of Robert and Betty Dix, at 1330 Ridge Place in Southeast Washington, DC. The newly formed congregation, first know as the Anacostia Church of Christ, met for its first eleven years in lodge halls around downtown Washington, DC. Even with limited physical facilities, the congregation experienced a slow but steady growth. With great dedication and will, they were able to construct and furnish a new building at 2600 Minnesota Avenue, SE. . It was at this time that the name was changed to Southeast Church of Christ. The Southeast congregation upheld its mission to spread the Gospel to other areas forming at least three major congregations: Oxon Hill, Winchester, and Waldorf, as well as other smaller congregations. In 1971, the membership of the Southeast Church had again outgrown its meeting space. The Southeast Church made plans and raised funds to build a structure at 3601 Southern Avenue in Southeast Washington. The church membership grew to over 400 people. The congregation is known for its benevolence, love for people, and genuine desire to fulfill the Lord's charge to seek and save the lost. Due to overcrowding, the church expanded to multiple worship services in April 1994. The membership of the Southeast Church outgrew its edifice once again in 1996. The members raised funds to erect our present structure at 6000 Davis Boulevard in Camp Springs, Maryland. Construction began in the fall of 1997. During the construction, the Southeast family worshiped at Suitland High School in Suitland, Maryland. The 28,870 square foot building was completed in April 2000. 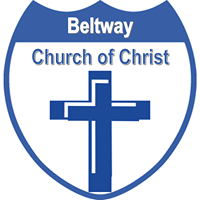 The congregation's name was then changed to Beltway Church of Christ because of our proximity to the DC-MD-VA Beltway.